She writes, she edits, she’s super organized (many superheroes are not! ), her standards are sky-high, and she doesn’t miss a deadline. 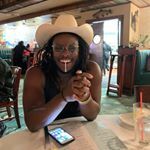 The work of great content writing has to be done well and with great efficiency, yet Lady Jen never misses the small stuff. No client of ours will ever see the word “there” when it should be “their.” Or “their” when it should be “they’re.” With her laser-focus editing powers, nothing gets by Lady Jen. 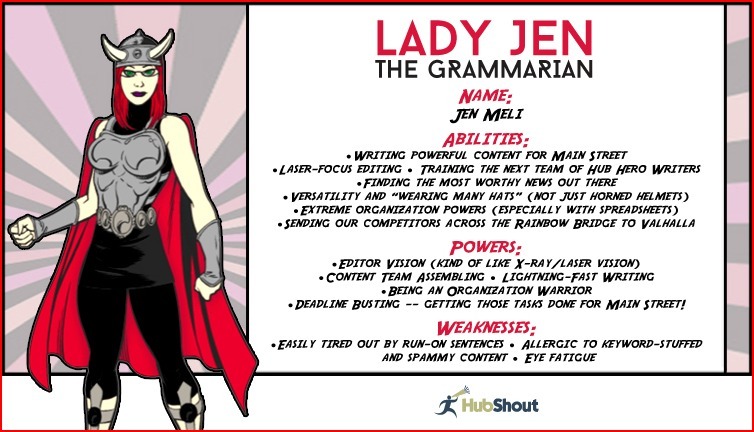 But that is the beginning and certainly not the only reason that Lady Jen is an SEO Superhero. 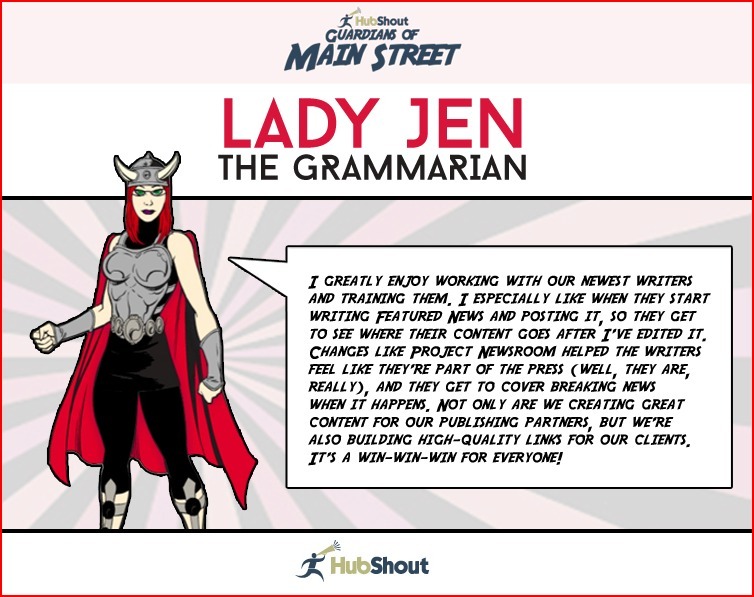 In addition to being one of HubShout’s “grammar police,” Lady Jen trains, guides, and mentors everyone at HubShout so that every piece of content is exactly what Main Street businesses need to survive and thrive. Lady Jen’s story probably began back in her early elementary school days when she was learning to read and write. 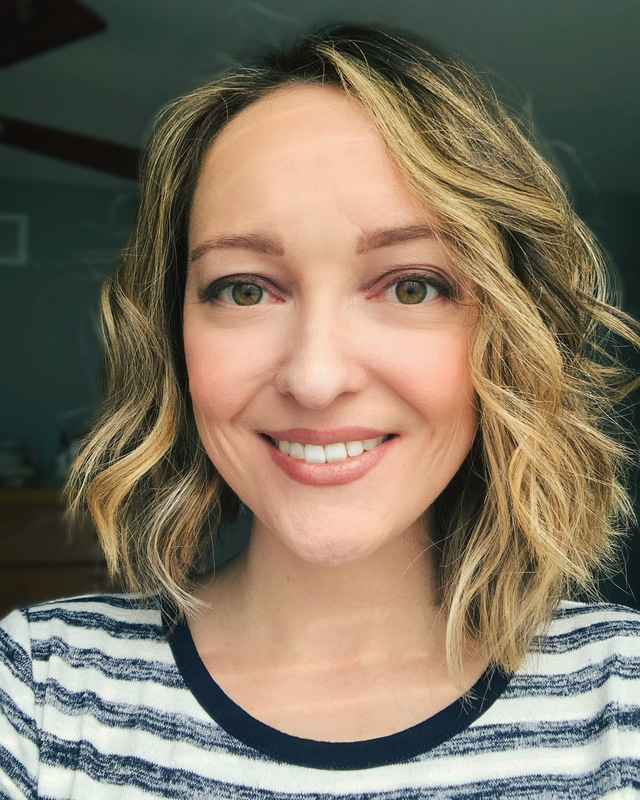 We suspect that her teachers and peers would have stories to tell, and they’d use words like “perfectionist” and “tenacious” to describe a young Lady Jen. But for the purposes of our SEO Superhero backstory, we begin with Lady Jen’s stint in academia when she taught and tutored college students on the subject of composition. 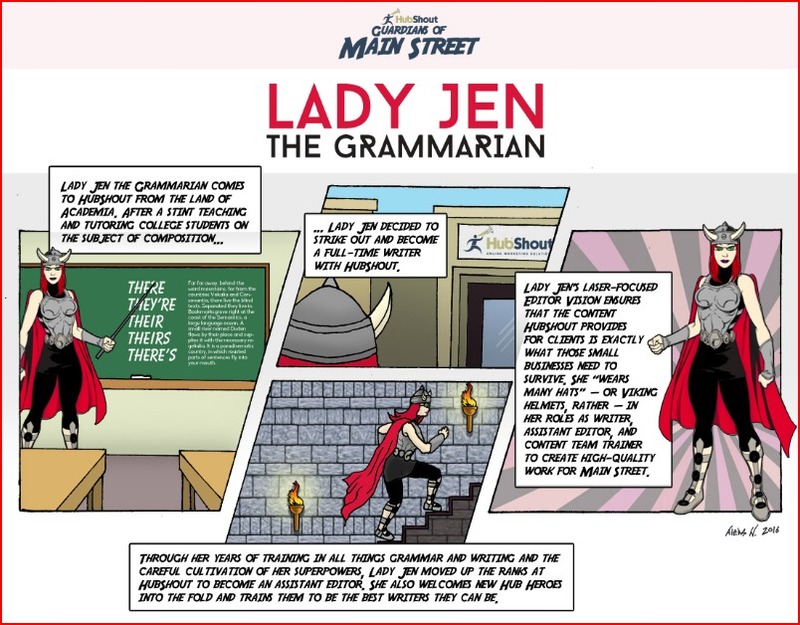 When Lady Jen joined the Guardians of Main Street, the other SEO Superheroes were hesitant (as they are with every Superhero who joins the team). It takes a very special Superhero to be a Guardian of Main Street. Lady Jen wasted no time proving that her SEO Super Powers are legit and that she is 100% dedicated to helping Main Street businesses. She quickly moved up the ranks and was promoted to the assistant editor! 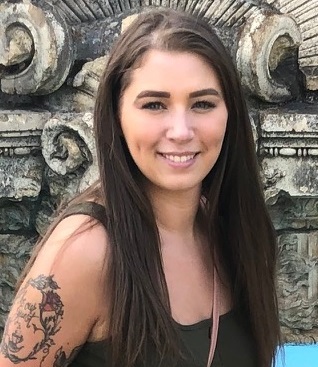 Now she spends her days editing breaking featured news stories, pulling the writing team together, training new writers, and going above and beyond to make sure that our white label SEO program maintains a level of quality that is unmatched by competitors. 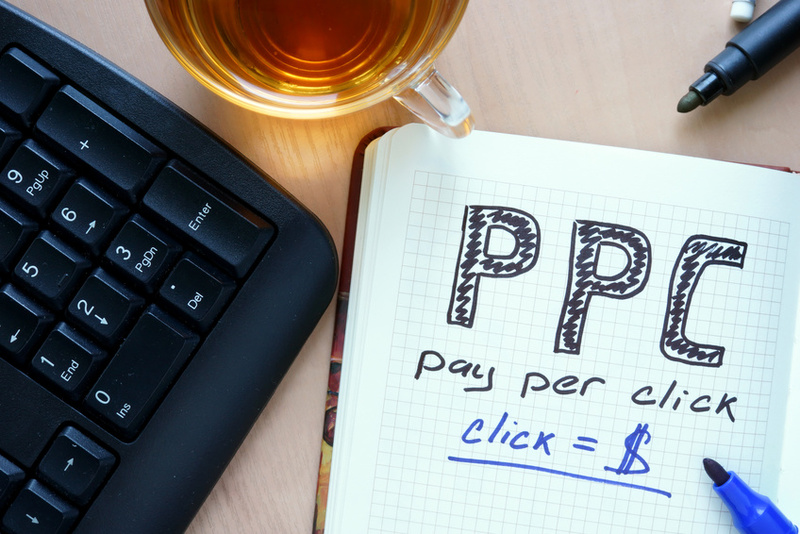 All SEO Superheroes have weaknesses. 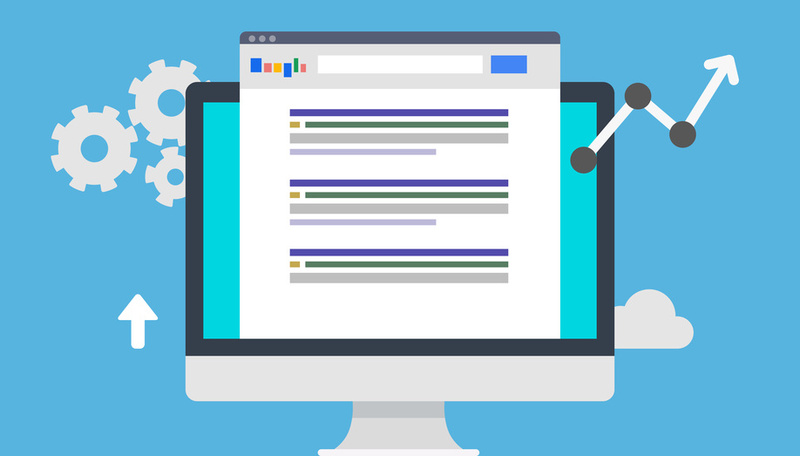 (An SEO Superhero who tells you that he or she doesn’t have any weaknesses is a fraud.) Lady Jen cannot tolerate keyword-stuffed or spammy content. 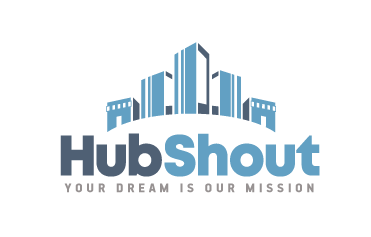 In order to combat this vile opponent, she makes sure that every piece of content produced at HubShout is of the highest quality and meets the high standards of our SEO reseller partners and their clients. 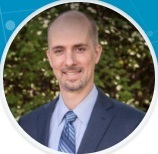 The Guardians of Main Street believe in collaboration, working as a team, and doing great things together, and that’s what we do every day for our SEO reseller partners.